A quickfire 48 by England’s Jonny Bairstow and disciplined bowling helped Sunrisers Hyderabad climb to the top of the Indian Premier League table after a five-wicket win over Delhi Capitals on Thursday. 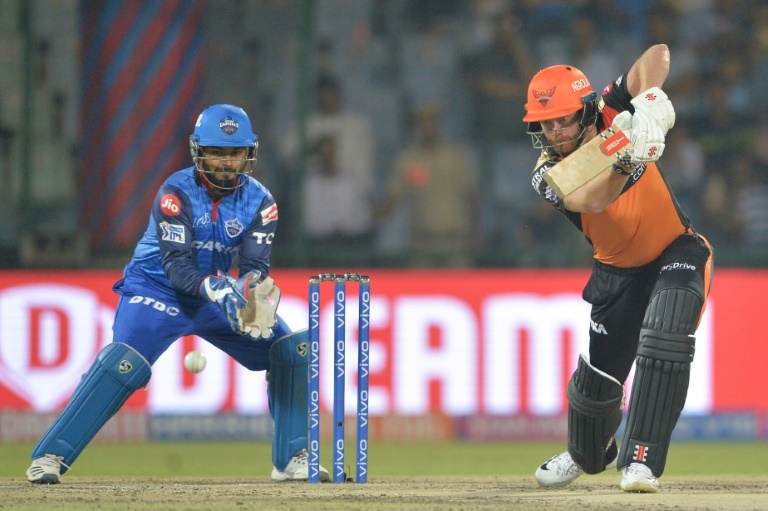 Chasing a modest 130 for victory, Hyderabad depended on Bairstow’s 28-ball blitz to achieve the target with nine balls to spare in Delhi and register their third straight win in this edition of the Twenty20 tournament. Earlier skipper Bhuvneshwar Kumar, Mohammad Nabi and Siddarth Kaul took two wickets each to set up the win for Hyderabad after they restricted Delhi to 129-8 in 20 overs. “Really pleased with the start, just going to try and keep going,” wicketkeeper-batsman Bairstow said after receiving the man of the match award. The in-form Bairstow, who hit a match-winning 114 in his team’s previous game against Royal Challengers Bangalore, put on 64 with opening partner David Warner. Bairstow, who was involved in a record 185-run opening stand with Warner in Sunday’s win, took the attack to the opposition with nine fours and one six before being trapped lbw off leg-spinner Rahul Tewatia. “Jonny is obviously in red-hot form coming on the back of a hundred. When you are confident like that, you don’t think about the negative result,” Australian great and Delhi coach Ricky Ponting told reporters after his team’s third loss in five matches. Left-handed Australian star Warner, who has also been in top form to boost his return from a ball-tampering scandal, looked out of sorts before falling to paceman Kagiso Rabada for 10 off 18 deliveries. Delhi struck back with three more wickets but Yusuf Pathan, on nine, and Nabi, with 17, completed the chase as Hyderabad celebrated a third win in four games.